It seems there is a new way to make your walls talk and enhance your home décor. This time we don’t mean sprucing up those walls with some easy DIY’s and framed pictures. We’re getting technical and talking about augmented reality. You’ve probably come across augmented reality before, and if you’re real tech savvy, you may have used it yourself a few times. Augmented reality is the layering of information on top of still images to provide a digitally enhanced view of the real world. Make sense? Picture this: you see an image in a magazine. The still image tells you to download an app to your smartphone and scan the image. Ta-dah! The still image viewed on your phone screen appears to be moving. You can even use your fingers and flip through images or read a long article or play a game, all done in the palm of your hand by scanning this one image. Easy peasy. So how does this relate to home décor? 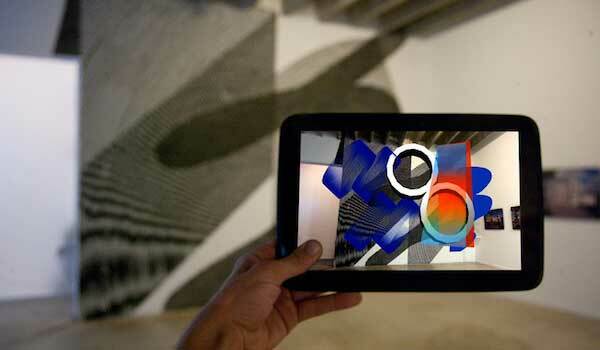 People are now creating custom wall decals with augmented reality layers. Some are creating 3d artwork, others are making children’s games for their kids’ room. Companies like Ikea and Home Depot are even making it possible for you to scan artwork within room displays and be directed to a catalogue where you can purchase online anything displayed in said room. It’s not just for home décor though, some businesses are using augmented reality wall decals too provide introductory information about the company in waiting rooms and lounge areas. Some event planners are using augmented reality wall decals and stickers placed in public places to raise awareness. Once scanned these decals open up an informative and interactive site allowing viewers to listen to and download music, watch videos, buy tickets, view maps and more. Augmented reality isn’t so commonplace yet as it requires some software development and design. This means that private companies will develop the interactive “augmented” part of the wall decal or sticker, but it will require viewers downloading their app to view it. If you come across 30 different pieces of augmented reality a day, this may require downloading 30 different apps. However, that said, it is a trend that seems to be growing as more and more people become familiar with the technology. We’re excited to see how this trend grows, particularly when using stickers and custom decals for walls.